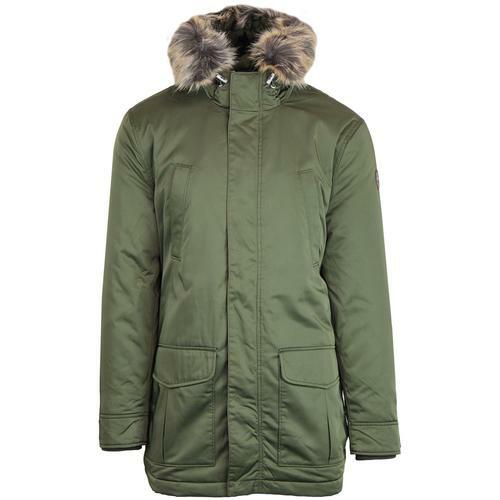 Gabicci Vintage 'Paxton' men's 60s mod fishtail parka jacket in forest green. 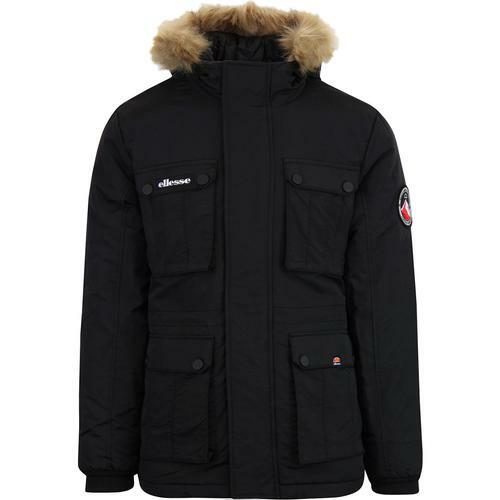 Utilitarian assets to the fore as practical large side pockets, slant snap chest pockets, water resistant waxy fabric and detachable Mod parka hood combine to create a Gabicci Vintage Retro outerwear masterpiece. 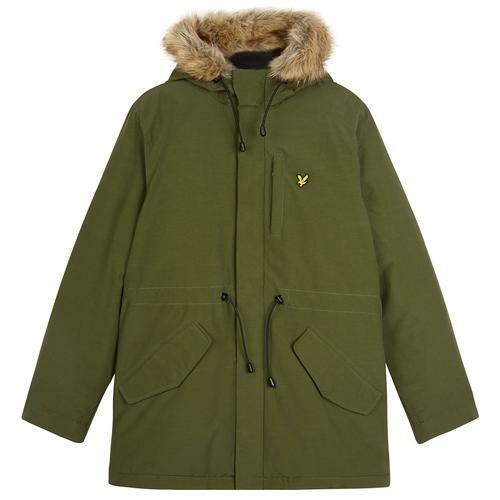 The 'Paxton' parka is finished with an exquisite sherpa lining for warmth in the colder months. Retro stripe trims add a flash of colour and the Mod fishtail hem finishes the garment off in style. Zip through fasten with snap stud over placket. 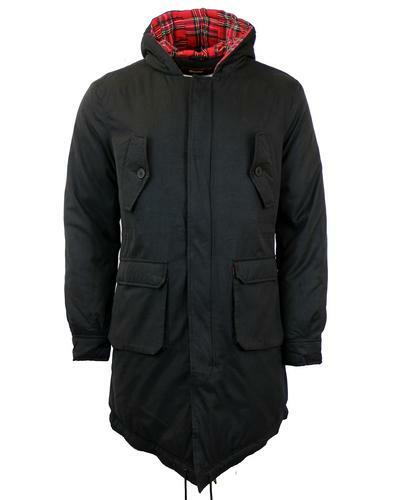 The Gabicci Vintage 'Paxton' fishtail parka jacket is a unique and contemporary take on a Mod Clothing classic! 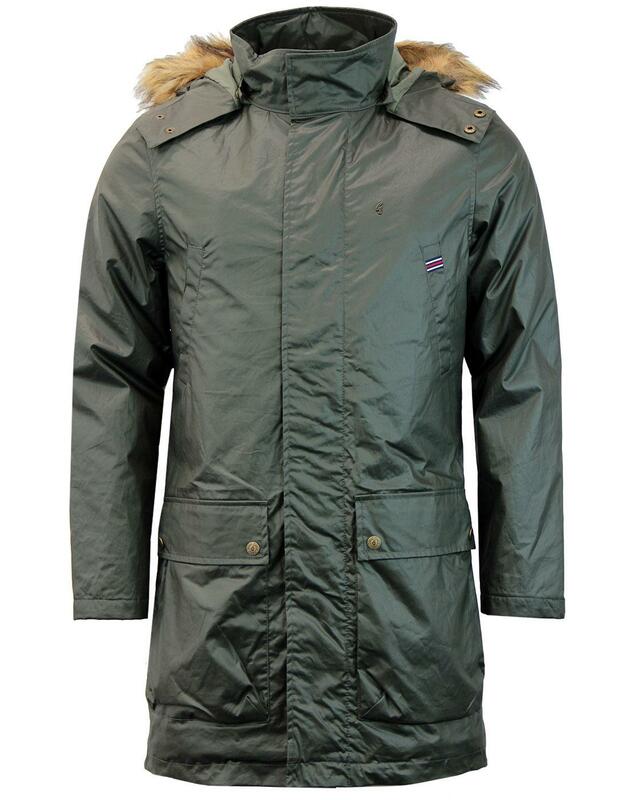 - Gabicci Vintage 'Paxton' men's 60s mod fishtail parka jacket in forest green. - Two large flap side pockets. 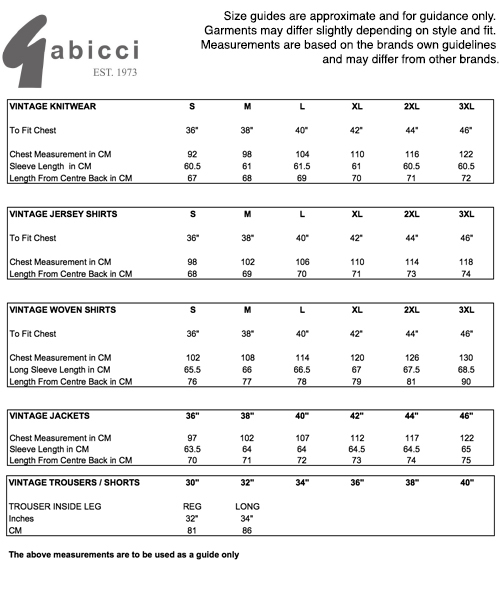 _ Slant pockets with snap stud fastening to chest. - Waxy feel, water resistant cotton shell. - Snap stud over placket. - SKU: V39GJ15 Paxton Fishtail Parka. Composition: Shell: 100% cotton. Lining: 100% polyester.